Gurgaon is a blockbuster in the industrial and residential market of India. It is geographically located at a very prominent location which is very close to Delhi and all other important places in the National Capital Region. Gurgaon is a favorite destination which is continuously pushing various types of industries to introduce their firms here. This tremendous growth of industries here and their turnovers have inspired the real estate giants to invest here and now the picturesque is something amazing. Today, the luxury real estate market of Gurgaon is one of the best markets in India. Gurgaon’s real estate market is an investor-driven market as properties here have great potential to offer multiple returns in long run. It’s easy commuting to Delhi, International Airport and Delhi Metro make life easy, convenient and comfortable here. The high employment opportunities are always available here where highly-skilled professionals can expect wonderful white collar jobs. Buyers always look for residential properties in Gurgaon and that is why demand here for quality housing never ends here. The sophisticated lifestyle in the luxury residential developments is the choice of almost everyone who has a dream to own a wonderful dream home here. So, just go for a conveniently located residential property in this living paradise as the prices are likely to be rise here very soon. With wonderful pathways, astonishing and stunning looks, unique water elements and prosperous green areas, select a perfect luxury home for your family in Godrej Sector 85 where you can find a complete luxury lifestyle. The beautiful apartments are available here in different sizes in the 2, 3 and 4 BHK configurations. The highlighting points of this luxury township can be considered as a fragrance garden, 16 varieties of plants including medicinal plants, 11 types of trees, terrace green, koi pond, skating rink, squash court, the grand water fountain at the entrance and much more. The homes are magnificently designed with great interiors. All the homes provide complete ventilation to the residents. 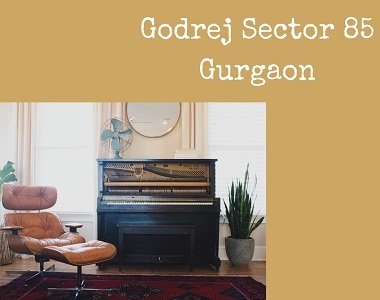 Location of Godrej Sector 85 Gurgaon provides several advantages to the residents and they can easily move around to the important destinations in NCR in quick time. All the housing dreams of luxury homebuyers can be fulfilled here as the township is providing several lifetime amenities to the residents. These include swimming pool, clubhouse, multipurpose hall, kids’ play area, gymnasium, non-stop water and power supply, hi-tech security etc. 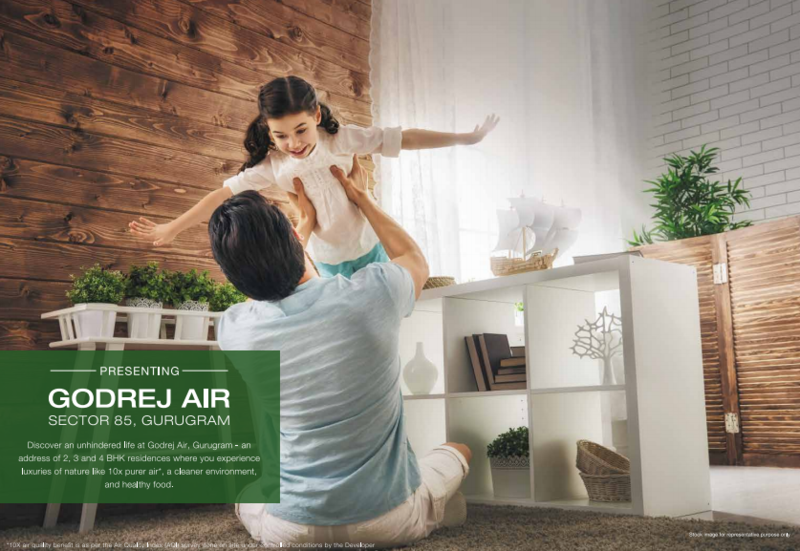 All these above-mentioned luxury elements are so much exciting and you can own them with the wonderful Godrej Sector 85 price which starts from Rs. 75 lakhs onwards.